MakerBot is a well- known manufacturer of superb 3D printers. So when they planned to manufacture PLA and ABS Filaments, then the expectations by the buyers of printers, to get advanced filaments suitable for a variety of printing tasks, was too high. MakerBot took this challenge and gave some of the best and most colorful filaments to artists and designers, so that their prototypes can be highly refined and more defined. The PLA filament by MakerBot works exceptionally well with all Fused Deposition Modeling (FDM) printers. These filaments are rigorously tested through some very strict quality assurance techniques which ensures that the use of the filaments is easy, high-quality prints can be created, filament issues like brittleness and moisture absorption are reduced and printer downtime is minimized. Most of the filaments used in 3D printing were limited in colors. In the changing scenario, MakerBot grabbed the opportunity and offered 30 + colors in the PLA category and 10+ in the ABS category of filaments. These colors also include some vibrant neon and glowing in dark colors to give better appearance to your designs. Another benefit of 3D printing filaments created by MakerBot is that they are made from certain harmless raw material like resin made from starches like corn. So these filaments can be used to create versatile products, which are also very safe to store edibles. With no traces of heavy metals, impurities, contaminants, phthalates, or BPA, there is hardly any threat to human health. Read along this write-up, to get a comparative view of the three most bought products from MakerBot and their details with pros and cons. What attributes you look in a filament to create all the possible 3D print assignment? You need flexibility of filament material, ability to keep the shape, smooth surface of print, no strings, easy feeding and size of spool. You will get all your demanded attributes in one filament, the MakerBot(1kg Spools) 1.75 mm. If you have ever worked with ABS filament, then you are already aware of its benefits, and you don’t have any reason to try. Just buy it and use it. This product has a consistent diameter, so it always give the smooth print with same thickness throughout the print. This makes your prints highly reliable and suitable to the requirements. This is possible since each filament color is checked by a high precision laser test to check for any compromise in print quality. The consistency of filament’s structure ensures that it never clogs the nozzle and the steady round shape of filament is a signal to quality prints. For consistency you must check for adhesion. This model from MakerBot has proven its reliability due to great adhesion between layers. This feature paves the way for smooth and perfect shaped prototypes. Like other filaments from MakerBot, this filament is high on pliability and smooth texture due to absence of any impurities and free from bubble formation, if the nozzle is set at right temperature. The one problem that has been reported by some users is that the colors of the products delivered, sometimes do not match with the colors shown online. Another problems can be related to packing that the filament received can be brittle. But for this you have to check the packing and the desiccant inside. If you are not satisfied with the packing, you must not accept a damaged filament. If you take a look at the benefits, then you will agree, with around 70% Amazon users, that you are actually getting the value of your money with this amazing product for 3D printing. You will find it excel in strength, reliability and color options. If you use Kapton tape on heated build plate and a heated build platform, then you can see the shape of beautiful models, which can be easily taken off from the platform. Get the MakerBot ABS 1.75 mm online or from nearest shop and create the perfect parts and prototypes. If you are really disappointed with your regular PLA filament and do not get the colored prints of your choice, then feed the (Large Spool) in your Fused Deposition Modeling (FDM) printer. You will get compliments for the amazing and vibrant prints, complying with the input design point-to-point. You will hardly see any strands or lumps, your prints will be just perfectly right. And think of the color options you have. No other brand a huge range of 31 colors. It is the choice of the users when they need a consistent filaments for high-end printers based on Fused Deposition Modeling (FDM) technology. The filament has gone through some strict in-house quality tests so that you get what is promised -higher-quality prints with minimum filament issue and low clogging. If you could get a range of vibrant colors to use in your prints, why to give black and white prints to your clients. Colors can give a right appeal to the models you are printing, creating the desired impact on the people who have to use them. And it looks quite good too! One small spool of MakerBot can last near about two months if you are a routine user. You won’t run out of filaments frequently and can continue to print those amazing creations and keep enhancing your home décor. A prints quality depends upon the quality of filament and if there are some gaps or holes in the spool filment, you can see its negative effect on the print. But with this flawless MakerBot filament you will always have smooth prints that look and feel fine. Some models need certain level of opacity to suit the needs of the project or machinery, it is part of. Here you have MakerBot Filament to give stunning opaque pigmentation to the prints, at a recommended temperature of 230C. A common complaint about this filament is that in comparison to similar filaments available in market, MakerBot is offering an expensive product, but if we talk about color variety, you will not get anywhere else. Sometimes the slicing profiles may not come out as nicely as expected but you can handle this with correct temperature to the nozzle. The spool size with 900g filament is a bit let down, if you are doing some bigger printing tasks. 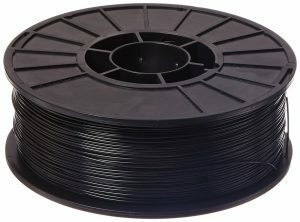 Due to this reduction in size, the filament spool may also not fit on a Replicator 2 printer. Amazon buyers of MakerBot PLA have reiterated their trust on the exceptional print capabilities and reliability. This is also due to flawless surfaces of the prints along with the amazing colors which can also be given transparent, neon or glowing final look. You can make intricate prints interestingly detailed with a splash of colors. So you don’t have to limit your creativity due to limited colors. Order a number of bright MakerBot and get your designs in the right shape and size. Do your clients demand some colors in their prototypes so that they can do some successful tests on them? If so, then you should get MakerBot PLA Filaments (Small Spool), which are available as translucent, neon, or glow in dark options. If your challenging new printing jobs involve a lot of colors, then get in small spools. These are known to be the best and most reliable PLA filament if you are using MakerBot Replicator 3D Printer. The advantage of these filaments is that since these spools come in half pound packing, so you can get a number of such spools in a myriad of colors and create some very colorful artifacts and components. It is of made of bioplastic material made from corn as one of the raw materials. The vibrant colors used in these filaments are the dyes that are approved by FDA so if you make plates and bowls, they will be food safe. Moreover these filaments have no heavy metals, impurities, phthalates, or BPA, so these are harmless in any kind of use. If you are creating some color coded parts, then you might be worried if you could successfully create the exact colors defined in the design. You can relax since you have the option to select any of the MakeBot 30+ colors spools, to print the perfect replica of the given pattern. You can even give some bright neon and glowing shades in your models. 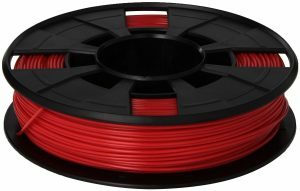 If you have just got into 3D printing then you will not have a better option than MakerBot PLA Filament. This is the best material to learn and practice since it is easy to handle and good for all kind of print tasks. If your need is to create certain throwaway prints for testing designs or creating some colorful domestic things, you will never be disappointed with the performance, resolution or color range offered by MakerBot. The filament is packed with great care in a sealed bag along with a desiccant pouch. If you have to keep them for long duration, you will always get the moisture free sturdy filaments for all print jobs. The MakerBot filaments are manufactured in technically advanced setup following all the standards of quality in 3D filament manufacturing, so that you can get reliable 3D printing with great presentation. If you compare these filaments with others available in same category then you may find them a bit high priced, but the color range offered by MakerBot is really unmatched. So, for you it is a tradeoff between price and color options. Sometimes you may find the filaments to be broken, which can be possible if the filament packs are kept in warehouse for a long time. Just check for the date of packing before paying for your filaments. You can save yourself from a lot of hassles. These MakerBot small spool filaments are great option if you are planning to get a hand in 3D printing skills. They are tested thoroughly for 100-micron and 200-micron layer resolutions so you have an assurance that you will get the most refined prints. 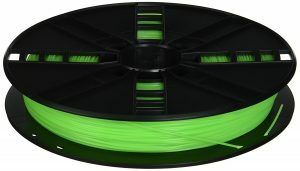 About 70% Amazon buyers have recommended these filaments for almost any kind of print tasks whether parts, prototypes, models or art pieces for your home. So don’t just think about 3D printing, buy these filaments and start working to enter this competitive and satisfying endeavor.